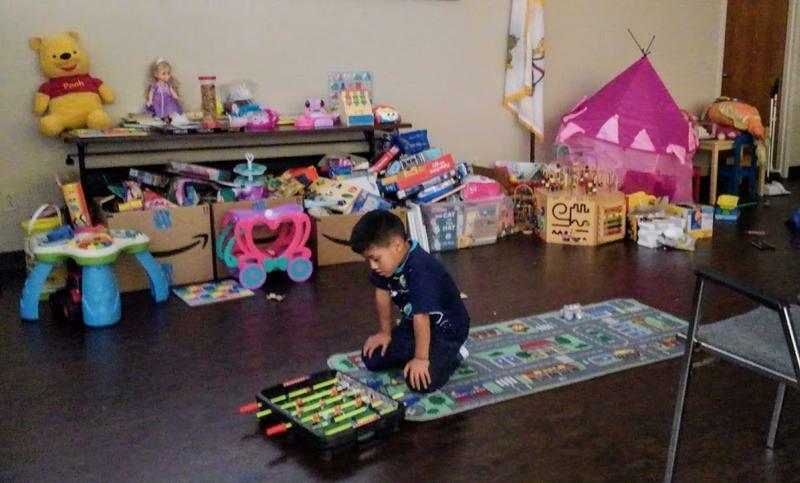 An immgrant child plays at Catholic Charities of San Anotnio after being reunited with his family. Some of the parents and children who’ve been detained separately for weeks are reuniting at Catholic Charities of San Antonio. Others are being reunited elsewhere, then going to Catholic Charities for help as they navigate the next leg of their immigration journey. Immigrant families "shop" for clothes at Catholic Charities before embarking on the next leg of their immigration journey. Catholic Charities spokeswoman Christina Higgs said even though most of the families are clearly exhausted from a long and challenging journey, they are happy. "They're in good spirits. They're back together, and I think that's what's most important to them," Higgs said. Along with fatigue, Higgs said there have been a couple of health issues. Two children arrived with scabies, a contagious skin rash that sometimes occurs when kids share close quarters. Higgs said Immigration and Customs Enforcement doesn't want her to elaborate on these cases, but she added their organization has a plan for handling these types of issues. "If there are any health concerns, we've got doctors as well that we're calling in, and everyone really has been — for the most part — in really good health," Higgs said. Intake workers then figure out what these newly reunited families need to move forward. Families are encouraged to take what they need from donated supplies at Catholic Charities while a caseworker determines their additional needs and helps them contact their families. "Once the families come in and they're greeted, they've met with a case worker. Each case workstation has a laptop, a phone, a printer — their needs are assessed immediately. So there are questions besides 'hello' and 'welcome.' Phone calls are made,” Higgs said. The first phone calls are to their home countries. They need to tell their families back in places like Guatemala, El Salvador, and Honduras that they've been released and reunited. If the families at Catholic Charities have relatives in the U.S., then they'll call them and let them know that they will join them soon. One father from Guatemala had been detained separately from his young son. The father was held at the Port Isabel Detention Center in the Rio Grande Valley. 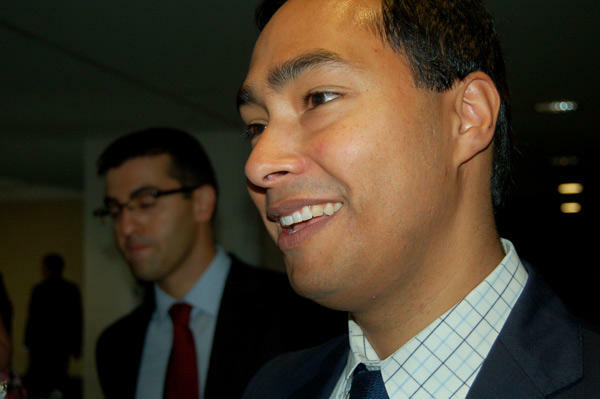 His son was at the Department of Health and Human Services facility in San Antonio. They were reunited this week and went together to Catholic Charities. 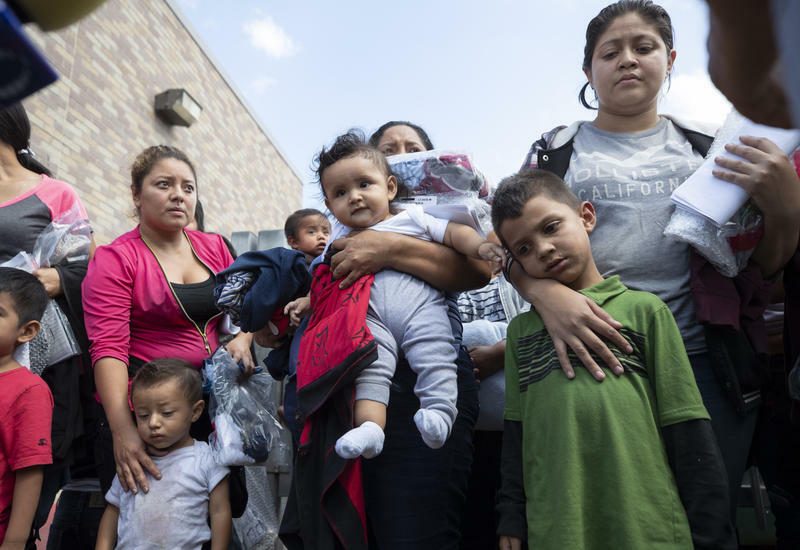 J. Antonio Fernandez, president and CEO of Catholic Charities of San Antonio, said the pair will go to the father’s sister-in-law’s home in Indianapolis while their immigration case is sorted out. Before they go, they'll have a hot meal, pick out new clothes, toys and books, and sleep in a hotel, before taking a bus or flying to their destination. Catholic Charities is paying for all of this with donated money and goods. Higgs said ICE asked them to be ready to take in 400 people. As of Wednesday, they've helped fewer than two dozen. Higgs said these last few days have provided her with quite an education. "To see these children come in — to see these families. These moms, who are just like me with my child (and) … my husband,” Higgs said. “They're trying to find each other. They're trying to get somewhere permanent so that they can start anew, and it's what everybody wants." Higgs doesn't know how long to expect families to continue trickling in or if they'll get a sudden surge of families, but they're prepared for either scenario. She does, however, think the government is trying to comply with a judge’s order to reunite more than 2,500 children with their parents by July 26. On this episode of Fronteras, Roopika Risam, assistant professor of English and faculty fellow for digital library initiatives at Salem State University in Salem, Massachusetts, joins us to talk about the impact of the Trump administration's zero tolerance policy. 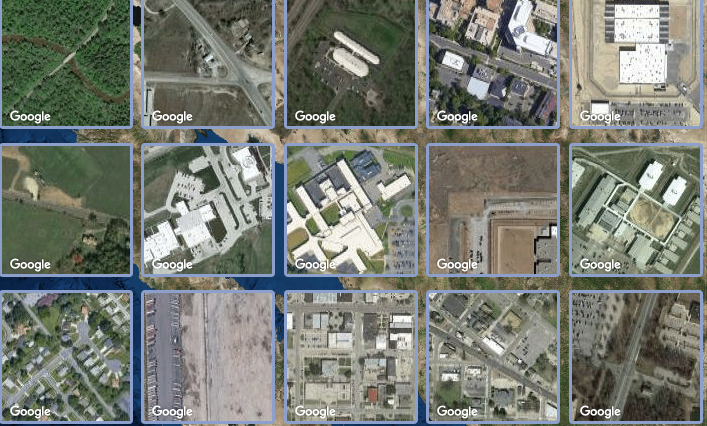 The Torn Apart/Separados digital project aims to geographically map the Trump administration’s zero-tolerance policy. Torn Apart is an example of the application of digital humanities. The Trump administration's "zero tolerance" policy on illegal immigration at the U.S.-Mexico border continues to raise questions about the fate of families currently being detained. The San Antonio based immigration non-profit called Refugee and Immigrant Center for Education and Legal Services is launching a nationwide hotline to provide free legal help for immigrant families who have been detained and separated after crossing the border by Immigrant and Customs Enforcement. 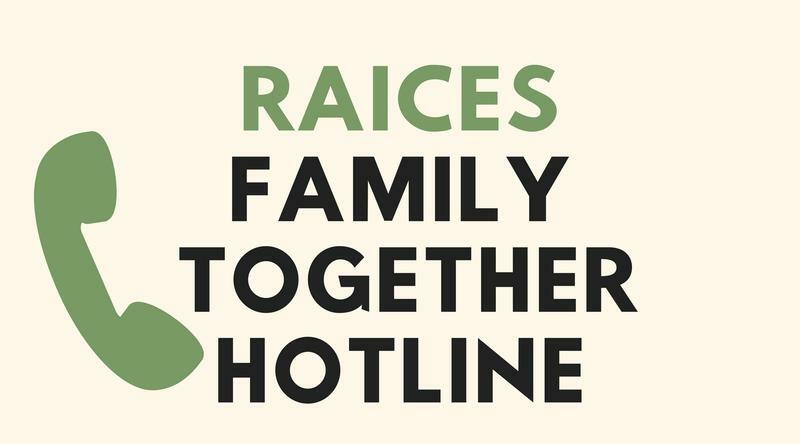 RAICES is launching what it calls a National Families Together Hotline, at the number 866-ESTAMOS (866-378-2667).